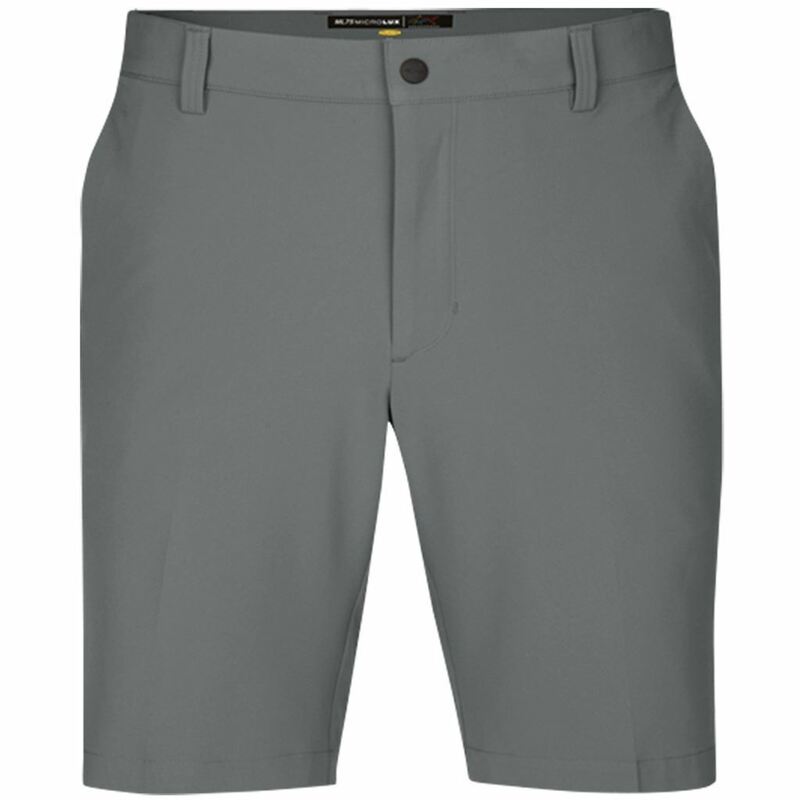 Classic look golf shorts in Grey. Greg Norman traditional styling with belt loops. Performance fabric that prevents sweat from building up.